As a part of Greek Week and to raise money for the Order of Omega Fund, the Office of Student Involvement hosted a Disney-themed pageant in the Clark Student Center Comanche Suite on April 9. Victor Venegas, political science freshman, and Alexis Maggard, special education freshman, both won first place at the pageant. The Office of Student Involvement will be hosting a series of events throughout the week aimed toward raising money for the Order of Omega Fund and other philanthropic pursuits such as donating to the Humane Society of Wichita County. 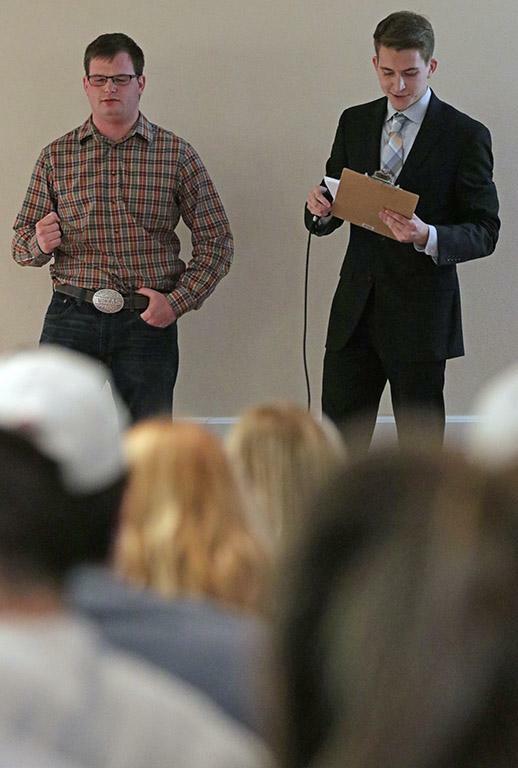 One of the events kicking off Greek Week was the pageant. Around 75 people attended the event, most of them being members of an active sorority or fraternity. Those who competed in the pageant represented various sororities and fraternities. All the sororities and fraternities were split into four teams: alpha, beta, delta and gamma. There were 9 women competing in the pageant on behalf of their respective sororities while there were 5 men on behalf of their fraternities. The pageant was split into three separate events: costume contest, trivia and talent show. The first event being a costume contest. The participants were tasked with dressing up in line with the pageant’s Disney theme. Some of the costumes included Rey from “Star Wars,” Woody from “Toy Story” and Mario, despite him not being a Disney character. Winners of the pageant, Maggard and Venegas, dressed as Cinderella and Aladdin, respectively. Next item on the agenda was trivia. Each of the contestants were asked four questions: two questions about Disney properties, one question about campus and one question about Greek literature. Though Maggard ultimately received first place for the women at the pageant she only answered one question correctly. “I definitely wasn’t expecting [to get first place] because I didn’t get any of the [trivia] questions right for one, but it feels pretty good [to win],” Maggard said. Finally, each contestant had to present a special talent of theirs to the audience. 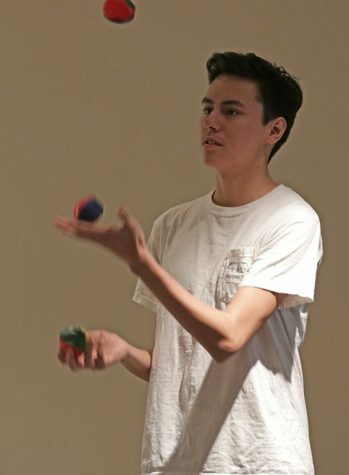 Contestants attempted to wow the audience and judges as they accomplished such feats from juggling, twirling, painting like Bob Ross and playing the banjo. This event also acted as a way for members in different sororities and fraternities to interact with other groups on campus as well. “It gets everyone together. It gives everyone a chance to compete, but we also get to bond with other groups as well and I met a lot of people I didn’t know,” Maggard said. Venegas said he enjoyed the event and was excited to experience it as a freshman.